Notes: Play as Tiki, a (yellow?) kiwi whose mission is to save his girlfriend Phee Phee from a giant walrus. Rather than operating as a straight-forward platformer, Tiki can explore the world in all directions and hopefully rescue some kiwi friends along the way. As mentioned in this blogpost by puehu, Māori are portrayed crudely, armed with boomerangs and bow-and-arrow, and build totem poles. The levels include Waitomo Caves, Rotorua, and…Oakland? 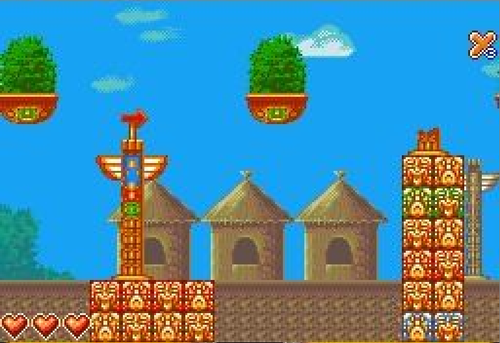 A definite mish-mash of cultural appropriation - and from what I remember as a Sega Master System II owner, this game was also frustratingly hard. 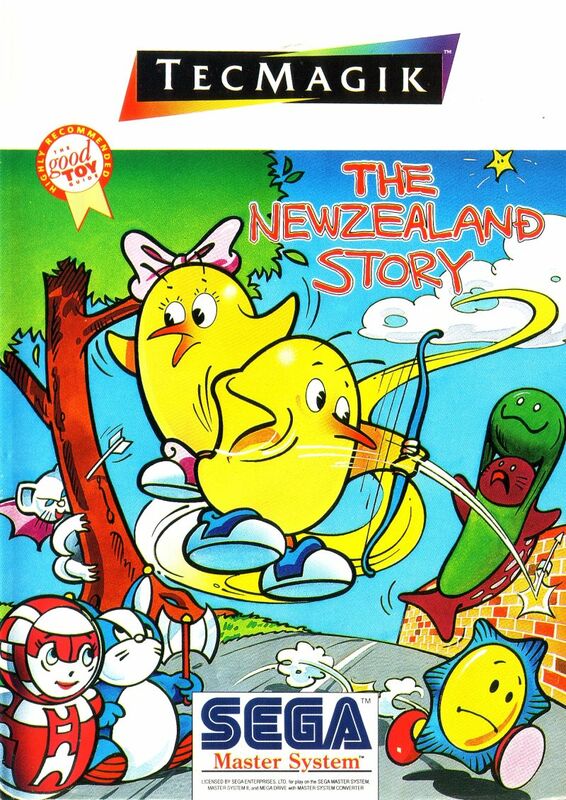 Overall Rating: Some things are better left in the past, but this game represents our starting point as Māori in video games. Let’s do better.